Ah, Valentine’s Day—it’s a day that some adore and a day that others love to hate. If you’re one of the lucky ones who have a special someone to spend time with on February 14, then you’ll need to be prepared. And yes, for guys in particular, that means stocking up on candy, flowers and ensuring that your wife or girlfriend is given the attention she deserves. Lucky for you, we’re here to help. On this day of romance, what better way is there to share quality time together than taking part in an activity that you love with your own true love? Oh yes, we’re talking about boating. From sailing off into the sunset to enjoying wine on deck as you listen to the ocean breeze, you can’t get more romantic than that. We’ve never met a woman or man who didn’t appreciate a nice sunset. 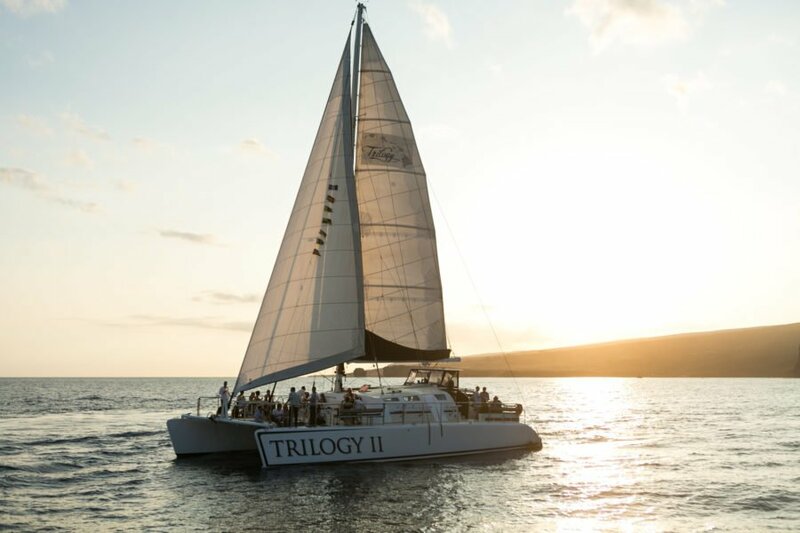 In our expert opinion, sunsets are best enjoyed onboard a sailboat or catamaran. You can enjoy the wind in your hair and avoid the loud roar of the engine in the background. With Boatsetter, you can navigate the waters yourself, or choose a boat with a captain so you can focus on what’s important. In terms of location, you won’t find better than the infamous sunsets of Key West, FL, or explore further up the Florida Keys in Key Largo. Want to learn more? 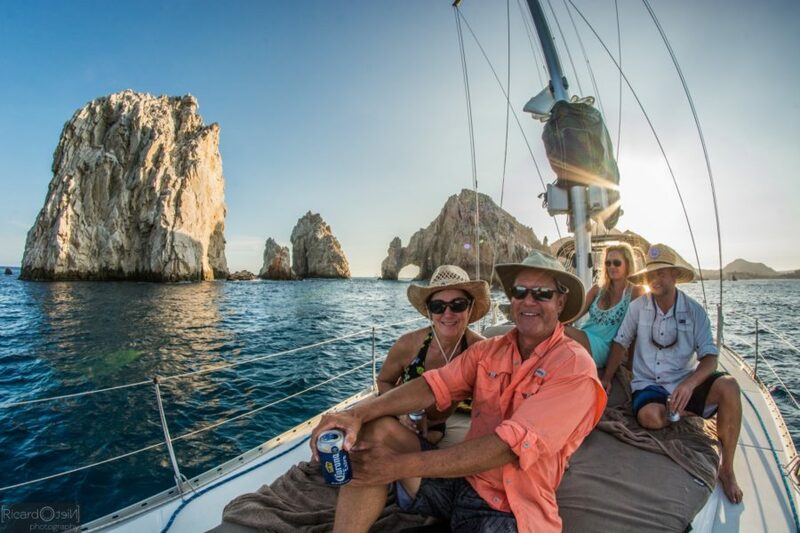 Visit our experience page focused on sunset cruising. There’s nothing like a romantic candle-lit dinner next to the water—or better yet, on the water. Consider planning ahead and ordering carryout from one of your favorite local dockside restaurants and picking it up prior to leaving the dock (be sure to read The Best of Dockside Dining in South Florida). Or, rent a boat that has a galley onboard, and bring all the ingredients you need to prepare gourmet meal while underway. If you’re an amateur in the kitchen, we’ve got your covered. Check out our Meal and Snack Ideas for Boating Foodies—which includes the ultimate list of portable, no-heat foods to make your meal simple, fun and easy. Last but not least, we know that you’ll probably want to indulge in an adult beverage or two while celebrating your romantic evening out on the water. Wine is always a favorite, especially when paired with a nice meal, or splurge for some champagne to toast as the sun sets on the horizon. If there’s a wet bar onboard, why not become a mixologist and show off your bartending skills? 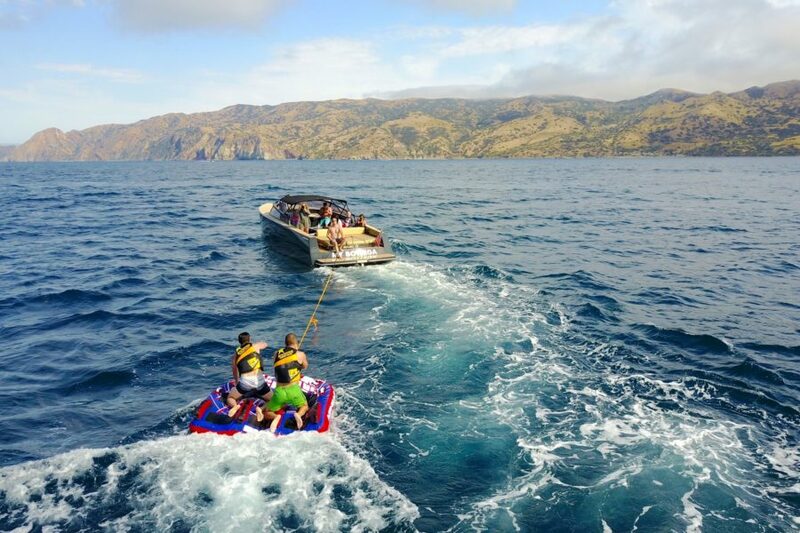 Whatever drink you decide to enjoy, we highly recommend choosing to hire a boat captain—and in this case, a designated driver—to accompany you on your outing. And don’t worry, our captains are trained on how to avoid being that annoying third wheel. To find out more about choosing a captain for your Valentine’s Day outing, visit Boatsetter.